Get ready, Sacramento: as of next month, Wide Open Walls is back! The wildly-popular Wide Open Walls Mural Festival will be held at locations throughout Sacramento starting on August 9th and running through 19th, 2018. That’s ten whole days of murals from over 40 acclaimed artists, ranging from local artists to international muralists, who will participate in the event. Artists will take over large-scale walls in several Sacramento neighborhoods, transforming them into works of art. 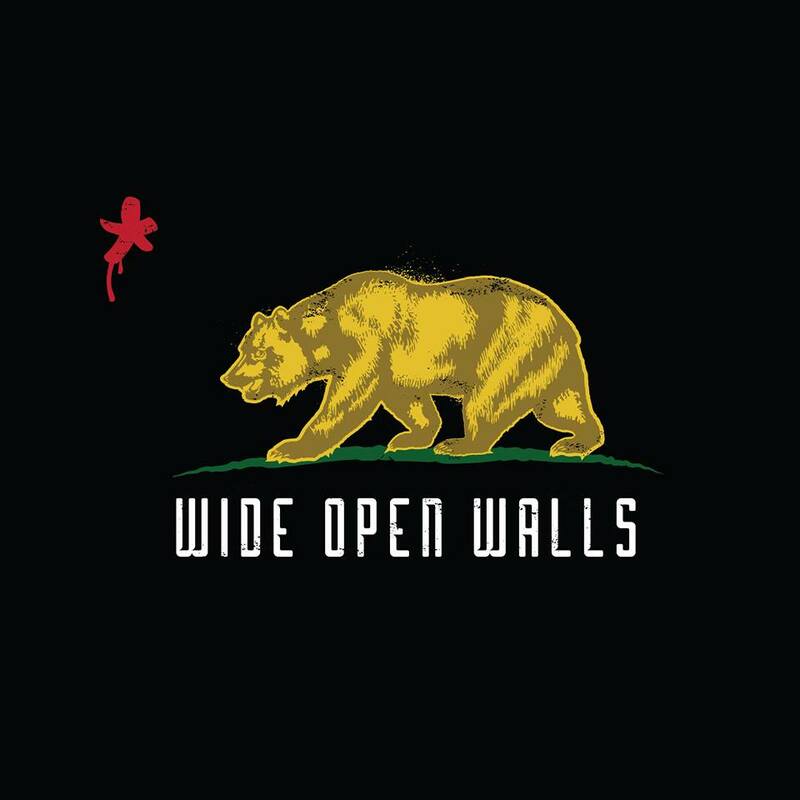 The Wide Open Walls logo, c/o Wide Open Walls’ Facebook. Keep an eye out for it during the festival! The biggest name headlining this year’s festival is Shepard Fairey, the artist who designed the iconic “Hope” poster for Barack Obama’s 2008 presidential campaign. According to Sactown Magazine, Fairey will be painting a mural featuring Johnny Cash on the wall of the Residence Inn by Marriott: it will face (fittingly) Folsom State Prison, in a tribute to the famous Cash song. 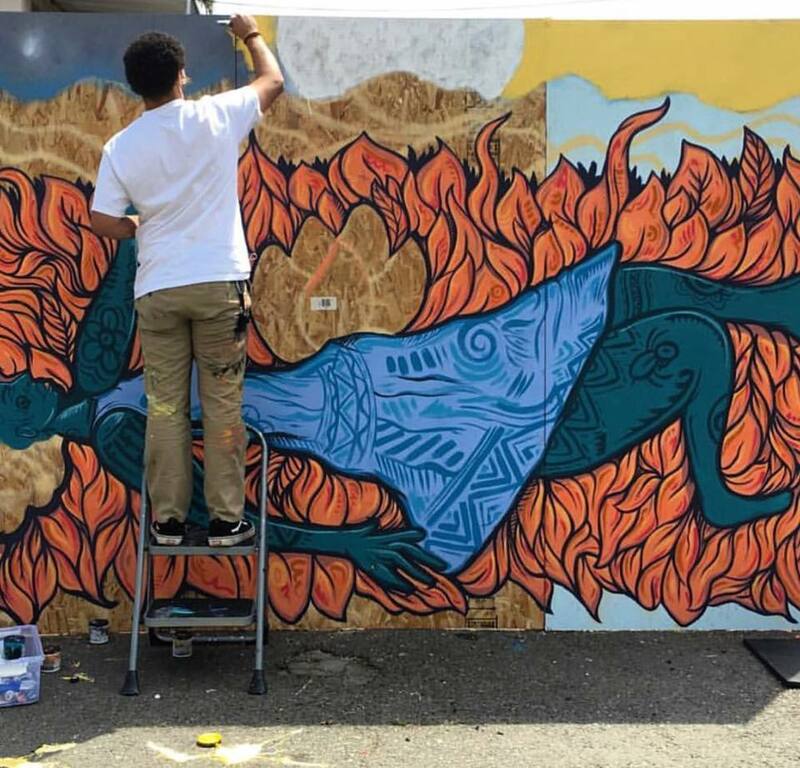 Sacramento artist Aik Brown is participating in this year’s Wide Open Walls festival. Image c/o Wide Open Walls’ Facebook. In addition to international artists from as far away as Afghanistan, Spain, China, and Italy, Wide Open Walls 2018 also features a number of local artists. According to Sactown, familiar local artists include Aik Brown (the current Art Impact Fellow at the Crocker), Michele Murtagh (whose work has been featured at Roseville’s Blue Line Gallery), and Stan Padilla (who contributed to the Southside Park mural in the 1970s), plus many more. Other California-based artists from San Francisco to LA and beyond make up a good chunk of the roster, which can be found at Wide Open Walls’ website. 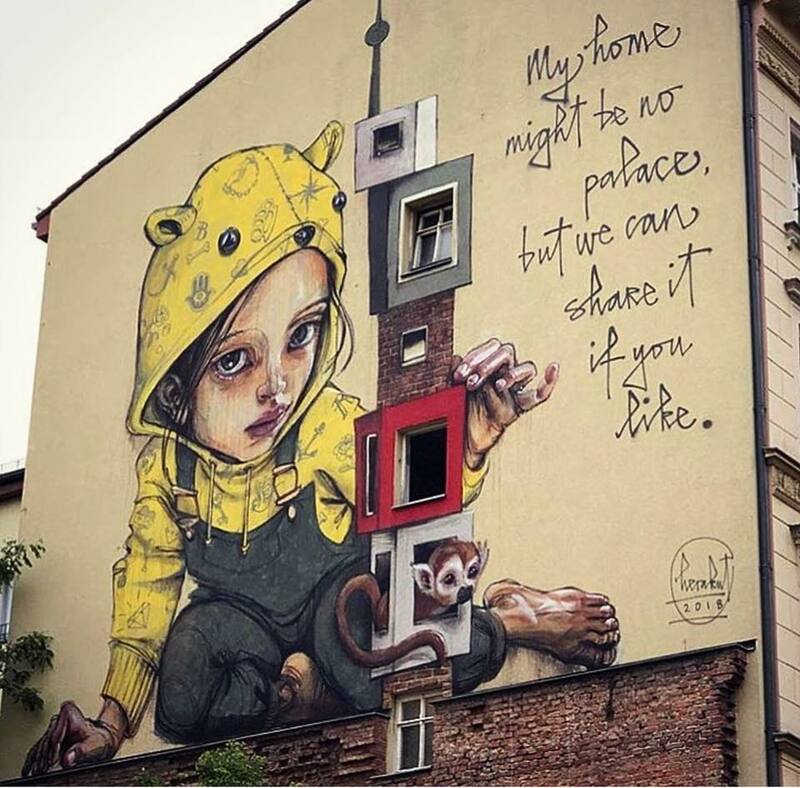 Berlin artist HERAKUT, whose mural is seen here, will be participating in this year’s Wide Open Walls Festival. Image c/o Wide Open Walls’ Facebook. This year, visitors can take a self-guided walking or bike tour to watch the artists at work. As reported by Sactown, there are also several street parties scheduled in the vicinity of several paintings, in addition to live music and pop-up art shows. Considering how much the community got behind last year’s Wide Open Walls, this year’s event is a can’t miss. So start prepping now by checking out the Wide Open Walls website to see the detailed artist lineup, locations, and more as the event approaches. See you there! The full lineup of artists who’ll be at the festival can be found at Wide Open Walls’ website. You can also keep up with them on Facebook for more announcements, too. Check out this in-depth article from Sactown Magazine for a detailed look at what to expect from this year’s festival. What do we do here at the Art Docent Program? Discover more about us and our curriculum here, and don’t forget to follow us on Facebook for more fun stories and updates! Want more stories about art in the community? Check out our blog archives for more!